This aptly-titled debut release likely falls outside of a strict avant-garde categorization, but as creative genre-busting music goes, it is a notable effort. 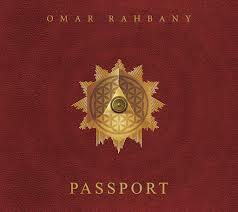 To put together Passport, Rahbany took three years and engaged over 180 collaborators from 12 countries. The resulting 60 minutes resembles, at times, jazz, classical, a musical, modern Arabic tunes, and probably a few other things. For example, Zook the Power Station is an accordion and piano driven romp through complex lines and rhythms, while Programmusik Babel is an 11-minute amalgam of jazz and funk with interludes of blowouts and structured weirdness. Perhaps the most compelling and idiosyncratic track on the album is Mouwachahat, with Middle-Eastern melodies and choral singing, but a piano, bass, and drum backing. The singing, when present, is not in English and very well done. Clearly, Rahbany’s influences are far-reaching, as is this recording. If you are a fan of soundtracks or musicals, you could do worse than give Rahbany a listen. If you are more into the left-of-center, keep in mind that Passport might be what would have happened if Rogers and Hammerstein collaborated with Christian Vander in Lebanon. Thumbs up. Hankil Ryu is a musician from Seoul, born in 1975. He is interested in finding an alternative musical structure possessed by abandoned objects like clockworks, typewriters and telephones. Makoto Oshiro makes his own musical instruments and equipment by combining materials like electronic devices and household products, and uses them in the development of creative live performances. He also creates installations focusing on physical phenomena related to sound. Stephen Cornford is an audio-visual artist working between installation and performance. His practice is concerned with reconfiguring consumer electronics as expressive and reflective devices.